ALL 3 SALES GOING ON NOW!! *Offer not valid on previous purchases. Valid 9/21/18 thru 10/31/18 at the 11210 Wayzata Blvd., Minnetonka, MN WBU location. 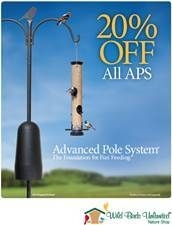 Our exclusive Advanced Pole System® (APS) lets you create a customized setup that suits your yard and birds. 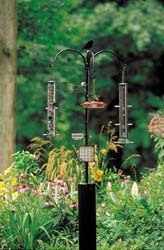 Whether it's placed in a yard, on the patio or mounted to a deck, this secure bird-feeding station allows you to customize your setup to attract the birds you prefer. 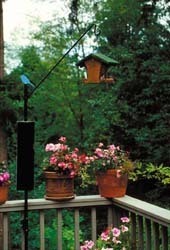 It can accommodate all types of decks, whether its a railing made of metal, wood or composite. All parts are powder coated to prevent rusting and fit together easily with no special tools required. Stop by today to create a new setup or add to and accessorize your existing one. 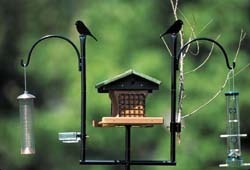 September 1-30, 2018, bring in any old feeder and receive 20% off a new feeder, including our EcoClean® Feeders, EcoTough® Feeders and our other Made in America feeders. *Valid on in-store purchases only. Offers not valid on previous purchases, sale items or gift cards. Offers valid 9/1/18-9/30/18 at the WBU Minnetonka location only.